A range of SafeScript training options are available. Four statewide webinars will be delivered after all face-to-face training sessions are completed. Dates to be confirmed. If you would like to receive an email about the webinars, please leave your email address HERE and we will advise you of the dates. The Victorian Government’s SafeScript real-time prescription monitoring initiative is focused on reducing the misuse and growing harms from high-risk prescription medicines. This is a positive move to address the number of deaths from prescription medicines which is a major public health concern. SafeScript allows prescription records for high-risk medicines to be centrally captured and transmitted in real-time to its database which can then be accessed by prescribers and pharmacists during a consultation. SafeScript is for use in primary care as it is in this setting that patients are supplied high-risk medicines which are open to misuse when taken unsupervised in their homes. This clinical tool is to assist in safer prescribing and dispensing decisions to facilitate the early identification, treatment and support for patients who have or at risk of developing dependence. The system monitors prescription medicines that are causing the greatest harm to the Victorian community. These include all Schedule 8 medicines, such as oxycodone (brand names include OxyContin and Endone), morphine (brand names include Kapanol and MS Contin), alprazolam (brand names include Xanax and Kalma), methylphenidate (brand names include Ritalin) and dexamphetamine and some Schedule 4 medicines including all benzodiazepines (brand names include Valium), ‘Z-drugs” such as zolpidem and zopiclone (brand names include Stilnox and Imovane), quetiapine (brand names include Seroquel) and products containing codeine (brand names include Nurofen Plus, Mersyndol and Panadeine). The face-to-face sessions provide an overview of the SafeScript, best practice for prescribing and dispensing of high-risk monitored medicines, and ways of managing people who are at risk of high-risk medicine misuse. Dates for 2019 training sessions across Victorian PHNs are listed below. The following references were used in the online modules and are listed here for your convenience. Royal Australian College of General Practitioners (RACGP). Prescribing drugs of dependence in general practice Part A – Clinical governance framework. Melbourne: 2015. Link (accessed 31 May 2018). World Health Organization (WHO). Management of substance abuse – Dependence syndrome., 2018. Link (accessed 31 May 2018). NPS MedicineWise. Benzodiazepine dependence: reduce the risk. 2015. Link (accessed 31 May 2018). Royal Australian College of General Practitioners (RACGP). Prescribing drugs of dependence in general practice. Part B: Benzodiazepines. East Melbourne: RACGP, 2015. Link (accessed 29 September 2017). Australian Institute of Health and Welfare. National Drug Strategy household survey 2016: Detailed findings. Canberra: AIHW, 2017. Link (accessed 27 February 2018). Australian Institute of Health and Welfare. Non-medical use of pharmaceuticals: Trends, harms and treatment 2006–07 to 2015–16. Canberra: AIHW, 2017. Link (accessed 31 May 2018). Victoria State Government. SafeScript frequently asked questions for health professionals. Victoria State Government, 2018. LINK (accessed 30 July 2018). Austin Health. Evidence to inform the inclusion of Schedule 4 prescription medications on a real-time prescription monitoring system. 2017. Link (accessed 30 July 2018). Royal Australian College of General Practitioners (RACGP). Electronic transfer of prescriptions (eTP). Link (accessed 19 June 2018). Brett J. Concerns about quetiapine. Aust Prescr 2015;38:188-90. Link. Royal Australian College of General Practitioners (RACGP). Prescribing drugs of dependence in general practice, Part A: Clinical Governance Framework. East Melbourne: RACGP, 2015, Link (accessed 29 September 2017). World Health Organization. Dependence syndrome. WHO, 2018. Link (accessed 15 February 2018). White JT, D. Drug-seeking behaviour. Aust Prescr 1997;20. Link. Pharmaceutical Society of Australia. Dispensing practice guidelines. 2017, Link (accessed 12 January 2018). Victoria State Government. Medicines control for pharmacists. 2017. Link (accessed 15 January 2018). Victoria State Government. Drugs, poisons and controlled substances regulation 2017. 2017. Link (accessed 9 March 2018). Department of Health and Human Services. Pharmacists: Key legislative requirements in Victoria. Victoria State Government, 2017. Link (accessed 13 March 2018). Pharmacy Board of Australia. Guidelines for dispensing of medicines. 2015, Link (accessed 11 January 2017). Victoria State Government. Drugs, poisons and controlled substances amendment (Real-time prescription monitoring) Act 2017. 2017. Link (accessed 18 January 2018). James J. Dealing with drug-seeking behaviour. Aust Prescr 2016;39:96-100. Link. Sixth Community Pharmacy Agreement (6CPA). Pharmacy practice incentives: Staged Supply – basics factsheet. 2017. Link (accessed 27 December 2017). Sixth Community Pharmacy Agreement (6CPA). Staged supply. 2018. Link (accessed 18 March 2018). Pharmaceutical Society of Australia Ltd. Guidelines for pharmacists providing staged supply services. PSA, 2017. Link (accessed 27 December 2017). Royal Australian College of General Practitioners (RACGP). Prescribing drugs of dependence in general practice, Part C1: Opioids. East Melbourne: RACGP, 2017, Link (accessed 3 January 2018). Royal Australian College of General Practitioners (RACGP). Prescribing drugs of dependence in general practice, Part B: Benzodiazepines. East Melbourne: RACGP, 2015, Link (accessed 29 September 2017). Royal Australian College of General Practitioners (RACGP). Prescribing drugs of dependence in general practice, Part C2: The role of opioids in pain management. East Melbourne: RACGP, 2017, Link (accessed 3 January 2018). Department of Health and Human Services and NPS MedicineWise. Recommendations for deprescribing or tapering opioids. Victoria State Government, 2016. Link (accessed 12 March 2018). Gowing L, Ali R, Dunlop A, et al. National guidelines for medication-assisted treatment of opioid dependence. 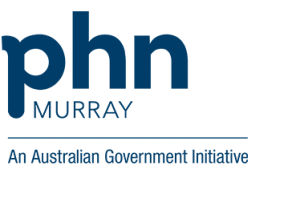 Commonwealth of Australia, National Drug Strategy, 2014, Link (accessed 3 January 2018). Victoria State Government. Pharmacotherapy (opioid replacement therapy). 2017. Link (accessed 15 January 2018). Department of Health and Human Services. Policy for maintenance pharmacotherapy for opioid dependence. Victoria State Government, 2016. Link (accessed 12 March 2018). Schuckit MA. Treatment of Opioid-Use Disorders. N Engl J Med 2016;375:357-68. Link. HealthPathways Western Victoria. Anxiety and depression in adults. 2017. Link (accessed 8 January 2018). HealthPathways Western Victoria. Chronic pain. 2017. Link (accessed 8 January 2018). Therapeutic Guidelines. Chronic pain: nonpharmacological management. East Melbourne: Therapeutic Guidelines Ltd 2017. Link (accessed 9 October 2017). Australian and New Zealand clinical practice guidelines for the treatment of panic disorder and agoraphobia. Aust N Z J Psychiatry 2003;37:641-56. Link. Black Dog Institute. Treatments for post-traumatic stress disorder. 2017. Link (accessed 25 May 2018). Johnson C, Blair-West S. Obsessive-compulsive disorder The role of the GP. Aust FamPhys 2013;42:606-9. Link. Better Health Channel. Managing and treating anxiety. Victoria State Government, 2017. Link (accessed 12 March 2018). Mitchell MD, Gehrman P, Perlis M, et al. Comparative effectiveness of cognitive behavioral therapy for insomnia: a systematic review. BMC Family Practice 2012;13:40-. Link. Therapeutic Guidelines. Chronic pain: Pharmacological management. East Melbourne: Therapeutic Guidelines Ltd 2017. Link (accessed 9 October 2017). HealthPathways Western Victoria. Medications in chronic pain. 2017. Link (accessed 8 January 2018). Krebs EE, Gravely A, Nugent S, et al. Effect of Opioid vs Nonopioid Medications on Pain-Related Function in Patients With Chronic Back Pain or Hip or Knee Osteoarthritis Pain: The SPACE Randomized Clinical Trial. JAMA 2018;319:872-82. Link. Department of Health and Human Services and NPS MedicineWise. Safe prescribing and supply of opioid medicines – for health professionals. Victoria State Government, 2016. Link (accessed 12 March 2018). White PF. What are the advantages of non-opioid analgesic techniques in the management of acute and chronic pain? Expert Opin Pharmaco 2017;18:329-33. Link. 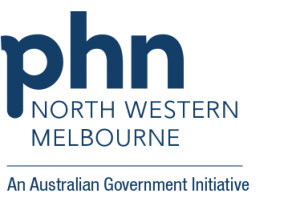 HealthPathways Western Victoria. Anxiety and depression medications. 2017. Link (accessed 8 January 2018). Therapeutic Guidelines. Anxiety and associated disorders. East Melbourne: Therapeutic Guidelines Ltd 2017. Link (accessed 8 January 2018). American Geriatrics Society. American Geriatrics Society 2015 Updated Beers Criteria for Potentially Inappropriate Medication Use in Older Adults. J Am Geriatr Soc 2015;63:2227-46. Link. Therapeutic Guidelines. Insomnia, parasomnias and jet lag. East Melbourne: Therapeutic Guidelines Ltd 2017. Link (accessed 8 January 2018). Australian Medicines Handbook. Adelaide: AMH 2017. Link (accessed 18 January 2018). Therapeutic Goods Administration. CIRCADIN melatonin 2mg prolonged release blister pack. 2009, Link (accessed 8 March 2018). Olson LG. Hypnotic hazards: adverse effects of zolpidem and other z-drugs. Aust Prescr 2008;31:146-9. Link. Drug and Alcohol Services South Australia. Benzodiazepines: Information for GPs. Department for Health and Ageing, Government of South Australia, 2014. Link (accessed 10 January 2018). Royal Australian College of General Practitioners (RACGP). Prescribing drugs of dependence in general practice, Part A: Clinical Governance Framework. East Melbourne: RACGP, 2015. Link (accessed 29 September 2017). Therapeutic Guidelines. Alcohol and other drug problems – Benzodiazepines, zolpidem and zopiclone: problem use. East Melbourne: Therapeutic Guidelines Ltd 2017. Link (accessed 2 January 2018). Royal Australian College of General Practitioners (RACGP). Prescribing drugs of dependence in general practice, Part C1: Opioids. East Melbourne: RACGP, 2017. Link (accessed 3 January 2018). Royal Australian College of General Practitioners (RACGP). Prescribing drugs of dependence in general practice, Part B: Benzodiazepines. East Melbourne: RACGP, 2015. Link (accessed 29 September 2017). Kirsh K, Passik S. Managing drug abuse, addiction and diversion in chronic pain. Medscape, 2005. Link (accessed 23 November 2017). Royal Australian College of General Practitioners (RACGP). Prescribing drugs of dependence in general practice, Part C2: The role of opioids in pain management. East Melbourne: RACGP, 2017. Link (accessed 3 January 2018). Victoria State Government. Prescribing drugs of dependence – additional advice. 2017. Link (accessed 18 January 2018). Department of Health and Human Services. Treating a drug-dependent person – Key legislative requirements in Victoria. Victoria State Government, 2017. Link (accessed 28 December 2017). Department of Health and Human Services. 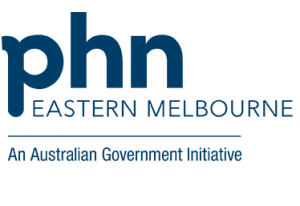 Medical practitioners – Key legislative requirements in Victoria. Victoria State Government, 2017. Link (accessed 28 December 2017). Victoria State Government. Notification of a drug dependent person. 2015. Link (accessed 22 January 2018). Gowing L, Ali R, Dunlop A, et al. National guidelines for medication-assisted treatment of opioid dependence. Commonwealth of Australia, National Drug Strategy, 2014. Link (accessed 3 January 2018). Therapeutic Goods Administration. Suboxone sublingual film 4/1 buprenorphine (as hydrochloride) 4mg/ naloxone (as hydrochloride dihydrate) 1mg soluble film sachet. 2014. Link (accessed 7 August 2018). Pharmaceutical Benefits Scheme. Buprenorphine + naloxone. 2017. Link (accessed 10 January 2018). Therapeutic Goods Administration. SUBUTEX buprenorphine 2mg (as hydrochloride) tablet jar/can. 2000. Link (accessed 10 January 2018). Pharmaceutical Benefits Scheme. Buprenorphine. 2017. Link (accessed 10 January 2018). Pharmaceutical Benefits Scheme. Methadone. 2017. Link (accessed 10 January 2018). Therapeutic Goods Administration. BIODONE FORTE methadone hydrochloride 5mg/mL oral liquid bottle. 2000. Link (accessed 7 August 2018). Indivior Pty Ltd. Suboxone sublingual film. 2011. Link (accessed 10 January 2018). Biomed Aust Pty Ltd. Product information: Biodone Forte. 2015. Link (accessed 10 January 2018). Department of Health and Human Services. A brief guide to prescribing buprenorphine/naloxone. Victoria State Government, 2017. Link (accessed 3 January 2018). 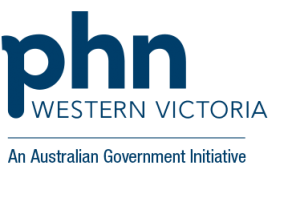 HealthPathways Western Victoria. Opioid replacement therapy. 2017. Link (accessed 26 January 2018). Therapeutic Guidelines. Chronic pain: nonpharmacological management. East Melbourne: Therapeutic Guidelines Ltd 2017. https://tgldcdp.tg.org.au (accessed 9 October 2017). Therapeutic Goods Administration. CIRCADIN melatonin 2mg prolonged release blister pack. 2009. Link (accessed 8 March 2018). Royal Australian College of General Practitioners (RACGP). Prescribing drugs of dependence in general practice. Part A: Clinical governance framework. East Melbourne: RACGP, 2015. Link (accessed 29 September 2017). Institute of Medicine (US) Committee on Quality of Health Care in America. Crossing the quality chasm: A new health system for the 21st century. Washington DC: National Academy of Sciences, 2001. Link (accessed 29 September 2017). Australian Commission on Safety and Quality in Health Care. Patient-centred care: Improving quality and safety through partnerships with patients and consumers. Sydney: ACSQHC, 2011. Link (accessed 12 April 2018). Orfaly R, Harris P. Confronting Oregon’s opioid epidemic. The Oregonian 2016. Link (accessed 22 April 2016). American Society of Addiction Medicine. The ASAM national practice guideline for the use of medications in the treatment of addiction involving opioid use. 2015. Link (accessed 4 January 2018). American Psychiatric Association. Substance-related and addictive disorders. 2013. Link (accessed 9 January 2018). Australian Medical Association. Harmful substance use, dependence and behavioural addiction (addiction) – 2017. AMA position statement. 2017. Link (accessed 8 January 2018). Global Commission on Drug Policy. The world drug [perception] problem. Countering prejudices about people who use drugs. Link (accessed 12 February 2018). Australian National Council on Drugs. Alcohol and other drug treatment for Aboriginal and Torres Strait Islander peoples. Canberra, ACT: Australian National Council on Drugs, 2014. Link (accessed 11 January 2018). National Aboriginal and Torres Strait Islander Health Workers Association. Cultural safety framework. 2016. Link (accessed 15 February 2018). Royal Australian College of General Practitioners (RACGP). Five steps towards excellent Aboriginal and Torres Strait Islander healthcare – For GPs and members of the practice team. RACGP, 2018; 6. Link (accessed. Department of Prime Minister and Cabinet. Communicating with Aboriginal and Torres Strait Islander audiences. Link (accessed 28 March 2018). Royal Australian College of General Practitioners (RACGP). Prescribing drugs of dependence in general practice. Part C1: Opioids. East Melbourne: RACGP, 2017. Link (accessed 3 January 2018). Pharmacy Board of Australia. Guidelines for dispensing of medicines. 2015. Link (accessed 11 January 2017). Riess H. Addiction, empathy, and opioid alternatives. 2016. Link (accessed 8 January 2018). Department of Health. Working with young people on AOD issues: Learner’s Workbook. Relapse prevention/management. Canberra: Australian Government, 2004. Link (accessed 18 June 2018). Substance Abuse and Mental Health Services Administration. Chapter 4: From precontemplation to contemplation: building readiness. Enhancing motivation for change in substance abuse treatment. Rockville, MD: Substance Abuse and Mental Health Services Administration, 1999. Link (accessed 8 January 2018). Substance Abuse and Mental Health Services Administration (US). Chapter 3 – Motivational interviewing as a counselling style. Enhancing Motivation for Change in Substance Abuse Treatment. Rockville (MD): 1999. Link (accessed 16 March 2018). Victoria State Government. Intake process and tools. 2018. Link (accessed 19 February 2018). Royal Australian College of General Practitioners (RACGP). General practice – A safe place. A guide for the prevention and management of patient-initiated violence. East Melbourne: RACGP, 2016. Link (accessed 11 January 2018). Royal Australian College of General Practitioners (RACGP). Standards for general practices. East Melbourne: RACGP, 2013. Link (accessed 20 June 2018). Carr N. How to say ‘no!’ to drug seekers: A conversation with Dr Nick Carr. HotDoc, 2017. Link (accessed 16 March 2018). Pharmacy Guild of Australia. Responding to undesirable customer behaviour. 2018. Link (accessed 12 March 2018). Mennillo A. Case study – The violent patient. A risk to you and themselves. 2016. Link (accessed 12 January 2018). Subjective Opioid Withdrawal Scale (SOWS) questionnaire.